Visit Cadence at Mobile World Congress 2017 to learn how 17 of the top 20 semiconductor companies are using Cadence® Tensilica® processors to create more competitive products. See demos of the industry’s highest performance and most energy-efficient DSPs for all system-on-chip (SoC) designs. 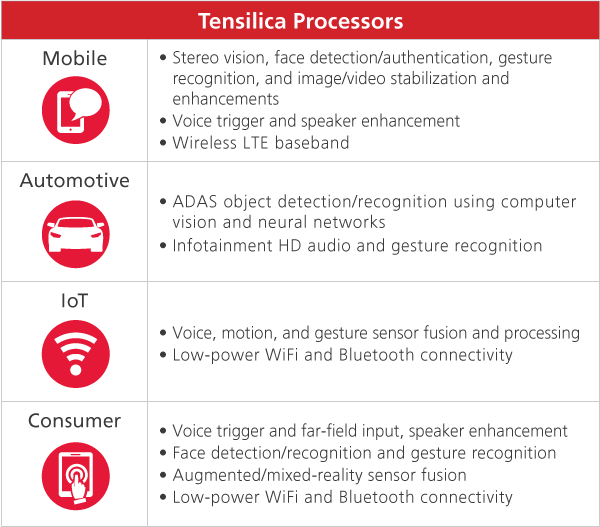 You’ll get to see where our Tensilica HiFi, Vision, ConnX, and Fusion DSPs are being deployed in products for mobile, automotive, IoT, and consumer markets—with a display of many applications used in our daily lives. Book a meeting with Cadence engineers or management at Mobile World Congress 2017. We look forward to meeting with you at MWC 2017!